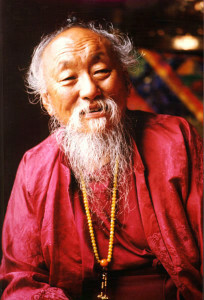 Chagdud Tulku Rinpoche said many times that the sangha is the arms and legs of the lama.The sangha helps provide the support necessary to enact the activities of the dharma, and the virtue of this great field of merit creates an environment of positive conditions and wisdom not only for the sangha but for the whole community. The activities of Odsal Ling – teachings, retreats and daily practices – as well as the ongoing maintenance of the city center and Refugio, are all accomplished thanks to the efforts and support of the members. * From November 2014, Lama Tsering allocated 15% of members contributions to the education of Yangsi of Rinpoche in Tibet. "Through the course of my travels in the United States, I visited many cities around the country, meeting up with friends old and new. People often lamented to me that they didn't have access to teachers or teachings where they lived. I heard this same comment more times than I could count. It is the same for Brazilian people who live far from São Paulo. It is so sad to be moved by the dharma and have nowhere to turn to follow up on one's interest. This precious life of ours is short at best, and as Rinpoche always said, "The best thing you can do with this life is practice the dharma. The study and practice of Vajrayana Buddhism requires listening to the teachings. Afterwards, one needs to personally contemplate and consider the meaning and implications. Then, once we fully understand, we are moved to pursue the various methods of meditation and practice, so that we can actually eliminate confusion and open ourselves to mind's essence. So it is with the dharma, that so much depends on the oral tradition. It is said that the lama whispers the authentic teachings into our ears and we gain the transmission of wisdom. Presently, technology is such that it is possible to broadcast the ongoing teachings that I am giving in São Paulo via the internet. But I still wish to uphold the intention of the whispered tradition... The best way to make the live teachings available for people with serious dharma interest is as a service provided to members. Upholding a membership in Odsal Ling is an important support to the activity of dharma, and an easy way for those of you - near or far - to be part of the sangha. Dharma activity, whether it is building a temple or answering email, is based on helping interested people gain access to the teachings. As a branch of Chagdud Gonpa-Brazil, Odsal Ling is dedicated to preserving and disseminating those teachings to the sangha. Odsal Ling will present Dharma Stream, live internet broadcasting of the teachings from São Paulo for sangha members near and far, according to the level of their membership. Just as drop by drop a bucket eventually fills, teaching by teaching, we come to understand true dharma and live our lives as the path of wisdom, so that all beings could attain enlightenment. Join us... and listen in."